Getting a kitten is one of the most exciting things that can happen in life. However, if you already have a resident kitty at home, there are some necessary steps to introducing your new kitten in order to ensure that both cats live harmoniously. Here are five steps to follow when it comes to introducing your new kitten to your resident cat. It is not advisable to bring your kitten home and immediately introduce it to your resident kitty. Rather, you want to have a safe room ready to go. A safe room is a room like a bedroom that preferably has a bathroom attached to it. The kitten should be placed in that room with its toys, bed, litter box and food. Ideally, it would be a bedroom where your resident cat doesn’t sleep every night and also one where your kitten can get used to a human in the house. 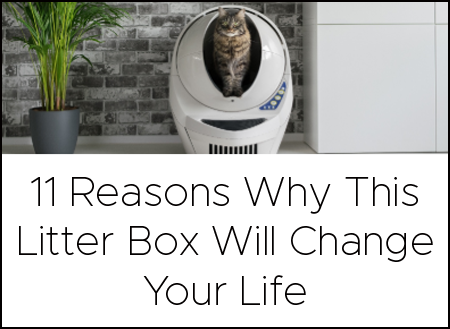 The safe room allows your kitten to get used the sounds and smells of your home, and allows your resident kitty to get used to the smells of a new kitten without the threat of it. You want to keep the kitten in the safe room for 1-2 weeks. During those 1-2 weeks the kitten will stop smelling like the shelter or breeder it came from and will rather start smelling like your home, which is less threatening to your resident cat. It will also allow for the kitten to be cleared health wise to make sure s/he is not bringing home any diseases to your resident kitty. This is essential in the first few days and especially before it comes in contact with the other pets in your home. 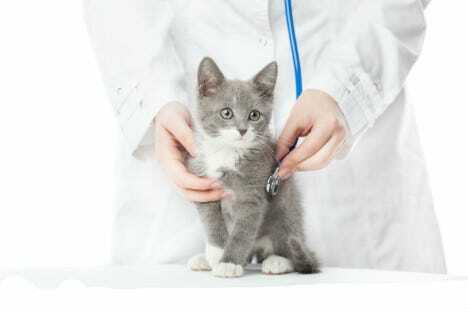 You want your vet to clear your kitten of any diseases or issues, so that you don’t end up with two sick cats. It is important to allow both the new kitten and your cat to get used to each other’s scents. To start off the process, take a soft cloth or a clean sock and wipe it around the new kitten’s face, under the chin, ear to ear, where some of the scent glands are located. Once you have the scent on the towel, offer it to the kitten or cat and do the same with the opposite. Once the kitten’s health has been cleared by a vet, you can take the kitten from the safe room (maybe about the first week, depending on how curious your kitten is) and put your resident cat in the safe room for an hour. Allow the resident cat to smell the entire room, use the litter box, eat the kitten’s food (assuming your resident kitty has no health issues) and more. Meanwhile, do the same with the kitten—allowing s/he to explore the rest of the house. Facilitate a face-to-face meeting. You can do this a few ways. You can put up a baby gate in the doorway of the safe room and allow the kitten and resident cat approach each other in their own time. Or, you can put the kitten in a carrier that smells like your resident cat, and then bring the kitten in the closed carrier into the resident cat’s area and set it down. Allow the resident cat to approach the carrier in his or her own time—smelling, hissing, etc. Patience is a virtue in this process. It is SO important not to hurry this process. Once the cats seem to be calm at the sight of each other, it is probably safe to introduce the two without barriers like the pet carrier and baby gate. Make sure that they are supervised during this initial meeting. If there are any problems during this time, go back a step to allow each cat more time to view each other on opposite sides of the baby gate. It is best to have one person hold the kitten and another hold the resident cat—preferably the person that the resident cat is most comfortable with. If the cats do well for a short time at a great distance, the next day repeat the process by decreasing the distance between them by a foot or two and increase the time they have to check each other out. On the first day start about 10 feet apart for 5 minutes, the next day try 8 feet apart for 10 minutes and so on and so forth. I know it sounds tedious, but believe me, it’s worth it! If several days go by and you feel like your cats are tolerating each other, let them explore the room and find each other at their own speed. There will be some degree of posturing between them in order to figure out who’s who. Ideally you would like for them to be able to be in the same room or on the same piece of furniture without fighting. Realistic expectations are for them to tolerate one another. If you’re lucky, then they may turn out to really like or love one another. These 5 steps should give you an overview of what to shoot for and what to expect—but there are certainly more detailed ways of how to tackle it. Our eBook, A Ragdoll Kitten Care Guide: Bringing Your Ragdoll Kitten Home, has a dedicated chapter to introducing your kitten to a resident cat in more detail. Guest Post by Jenny Dean of Floppycats.com.